November & December Is Senior Preventive Care Month! The aim of our Senior Preventive Program is to maintain the quality of the patient’s life and to slow the progression of age-related disease. Because most of the chronic diseases we see in senior pets are slow to progress, early recognition is usually only possible through diagnostic tests. The earlier we can diagnose a disease, the better the likelihood that we can slow or reverse its progression and maintain a longer period of high quality of life for your senior pet. Senior pets should have regular health checks and blood work at least once a year. Our Senior Care programs include a thorough physical examination, blood and urine screening, nutritional assessment and booster vaccinations should be given as determined by your pet’s lifestyle. While it is true that “old age is not a disease”, older patients do merit special attention. This is important so that if your beloved pet develops disease, we can recognize and treat it as early as possible, thereby maintaining its quality of life for as long as possible. 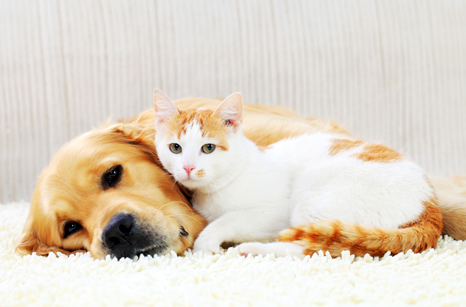 During your pet’s senior wellness exam and full blood work profile you will receive $50 off!